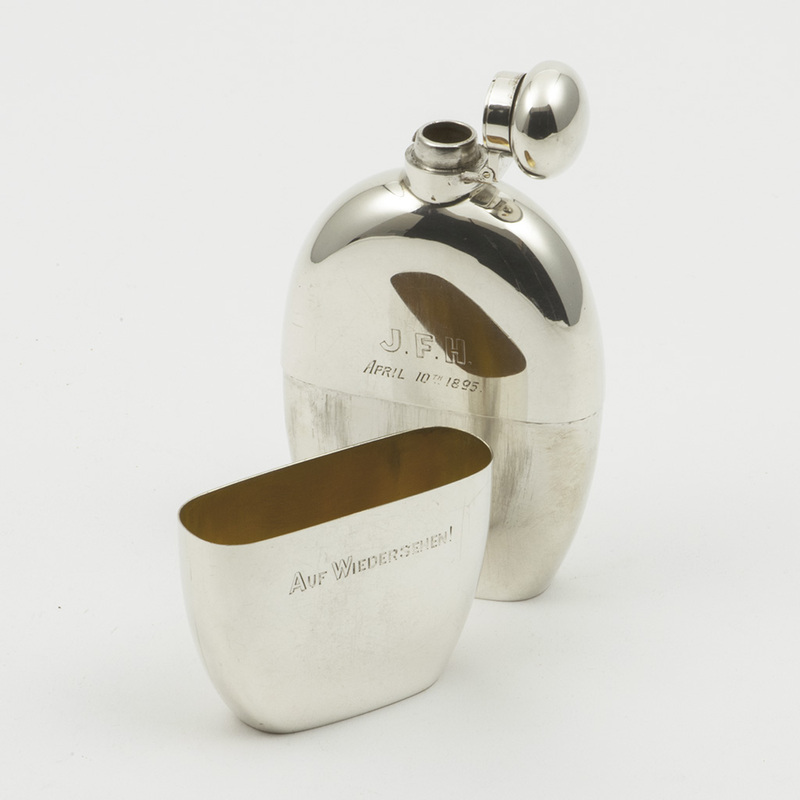 A late Victorian Australian silver Drink Flask, Adelaide, by August Brunkhorst. 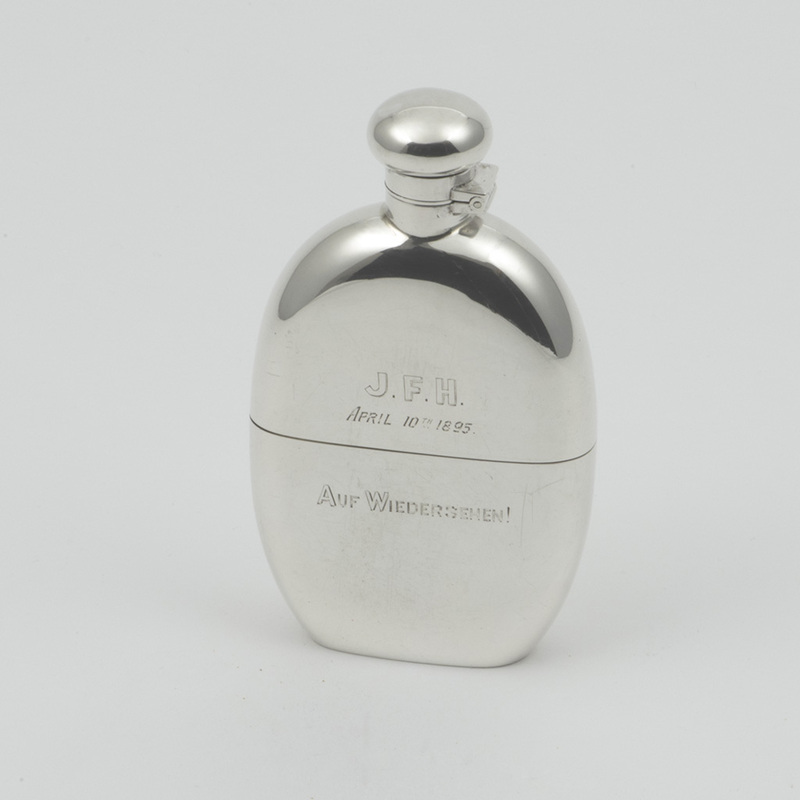 One side of the flask is engraved ‘J.F.H. 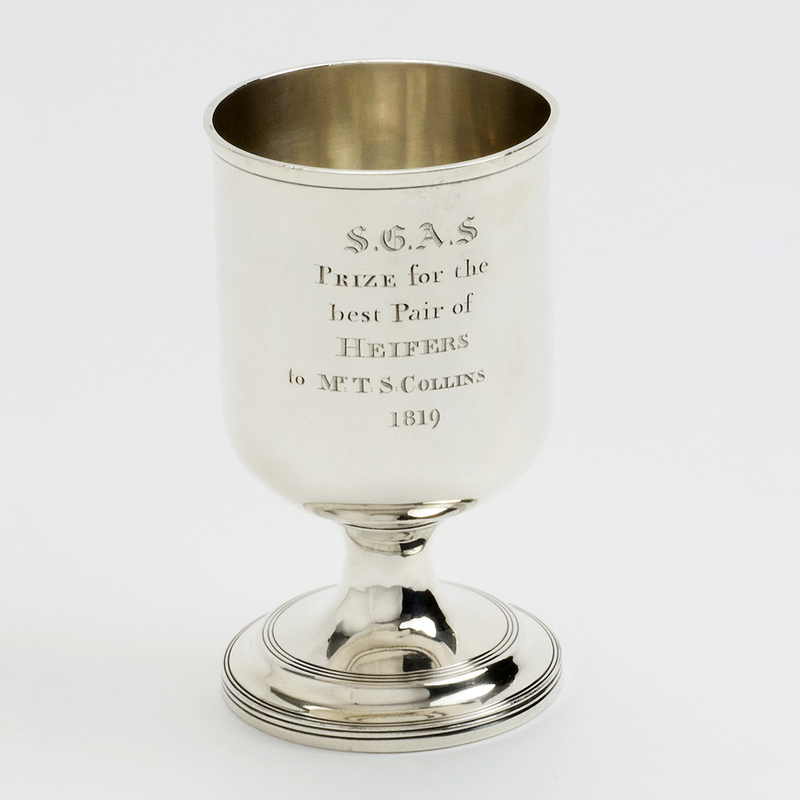 April 10th 1895 ‘Auf Wiedersehen!’ The detachable cup with gilt interior. 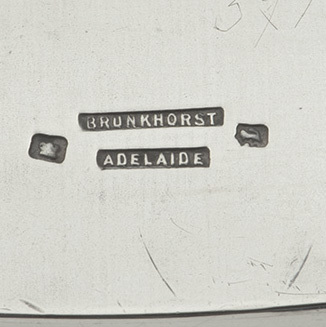 Brunkhorst took over the business of Henry Steiner in Rundle street when Steiner decided to return to Germany in 1884. Send Enquiry for An Australian silver Flask. Good. 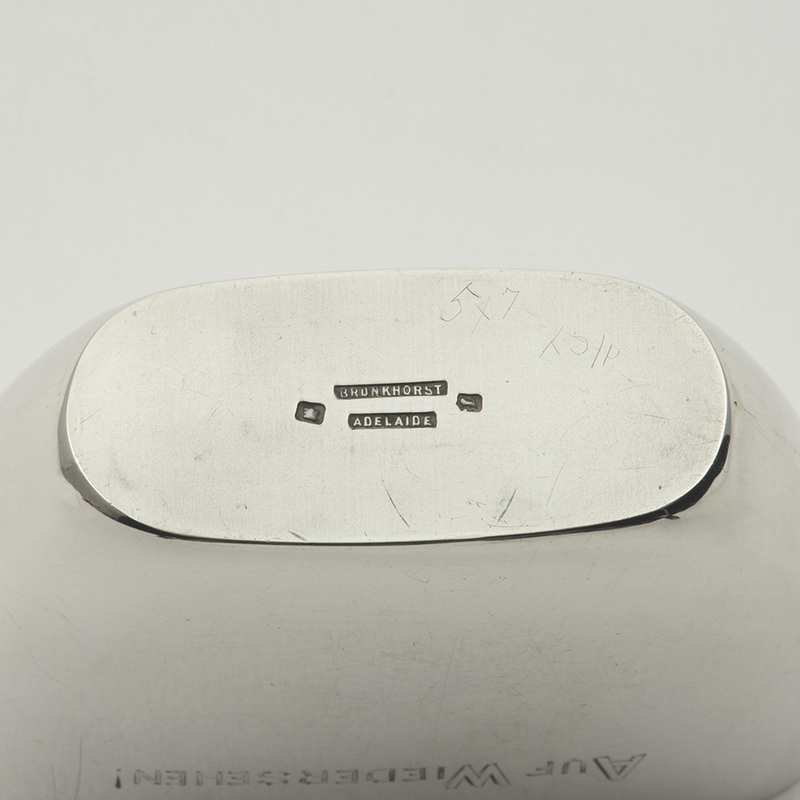 Surface marking on the body of the flask where the detachable cup attaches. Minor marking to the base of the cup. Minute bruise to the bottom interior edge of the body. 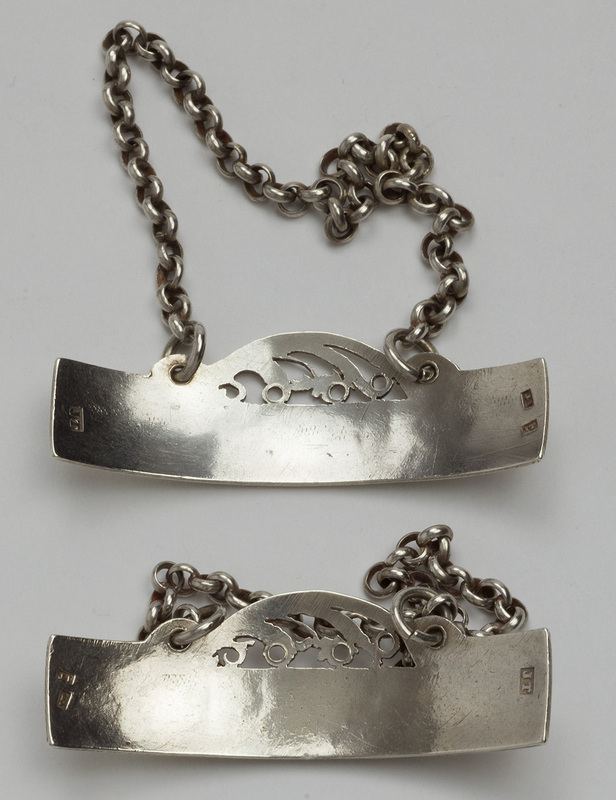 Length – 12.50 cm. ; Width – 7.30 cm. 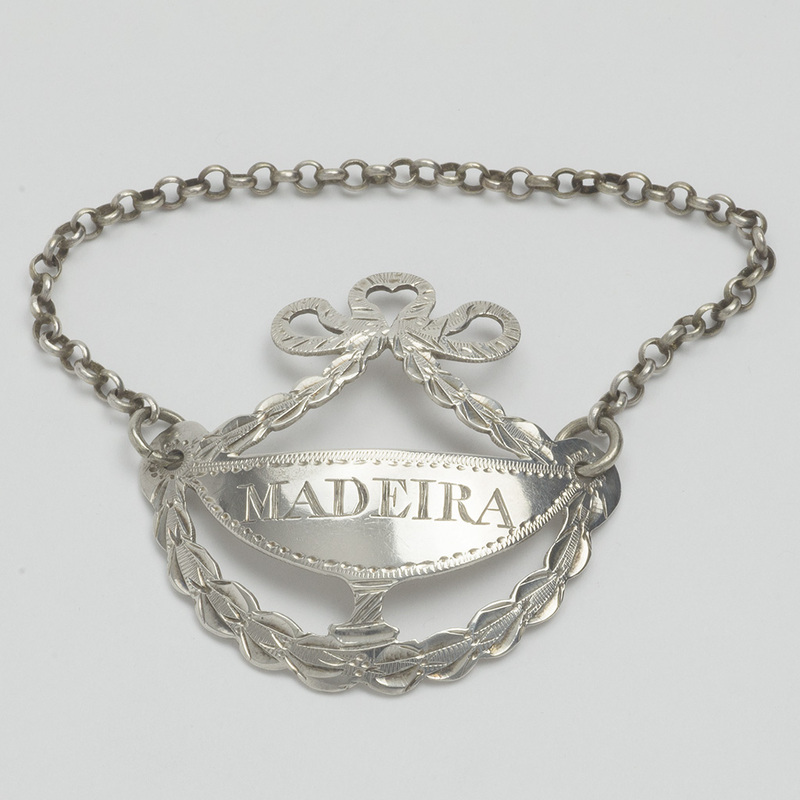 ; Depth – 2.50 cm. ; Weight – 163.80 gms. A George III silver Prize for the best pair of Heifers. Send Enquiry for A George III silver Prize for the best pair of Heifers. 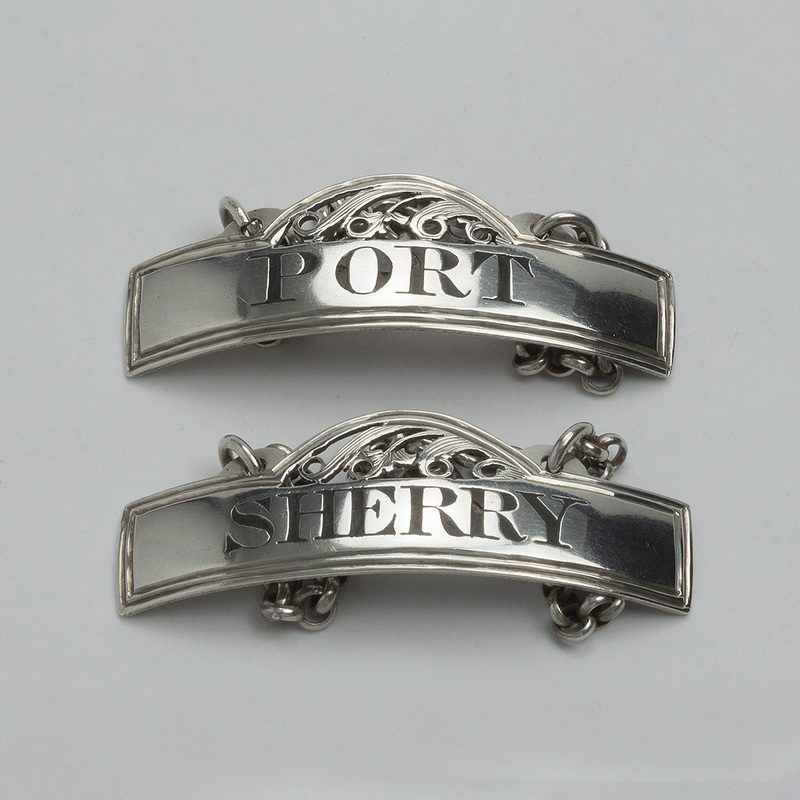 A pair of George III silver Wine Labels. 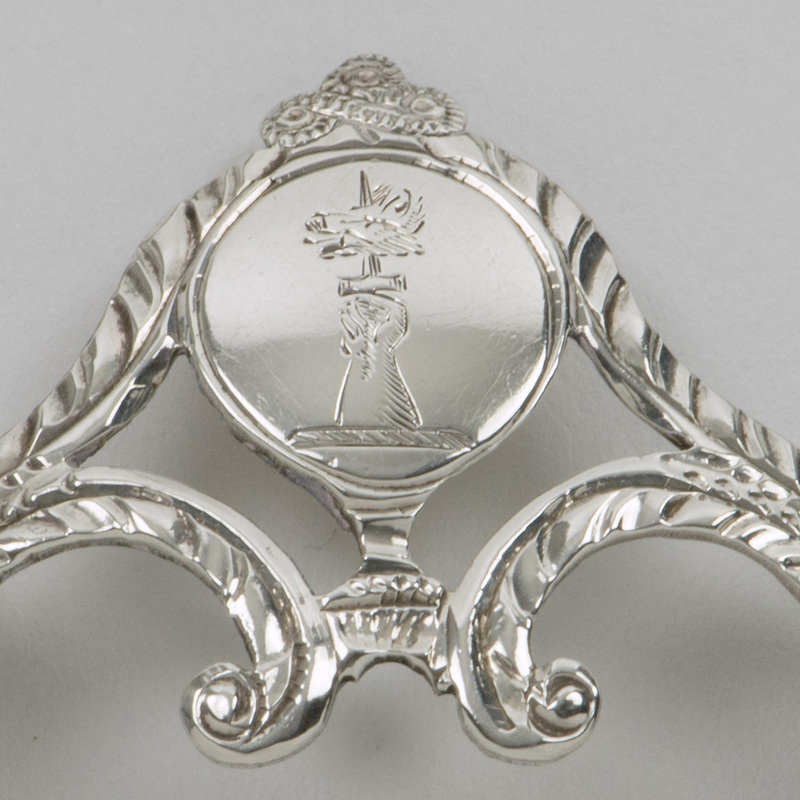 Send Enquiry for A pair of George III silver Wine Labels. 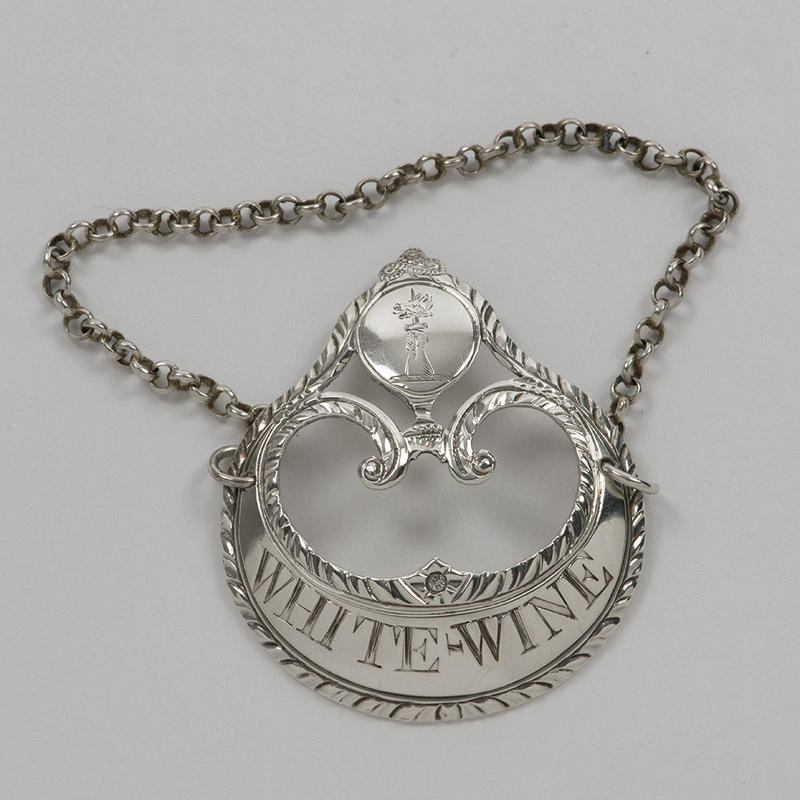 A George III silver White Wine Label. 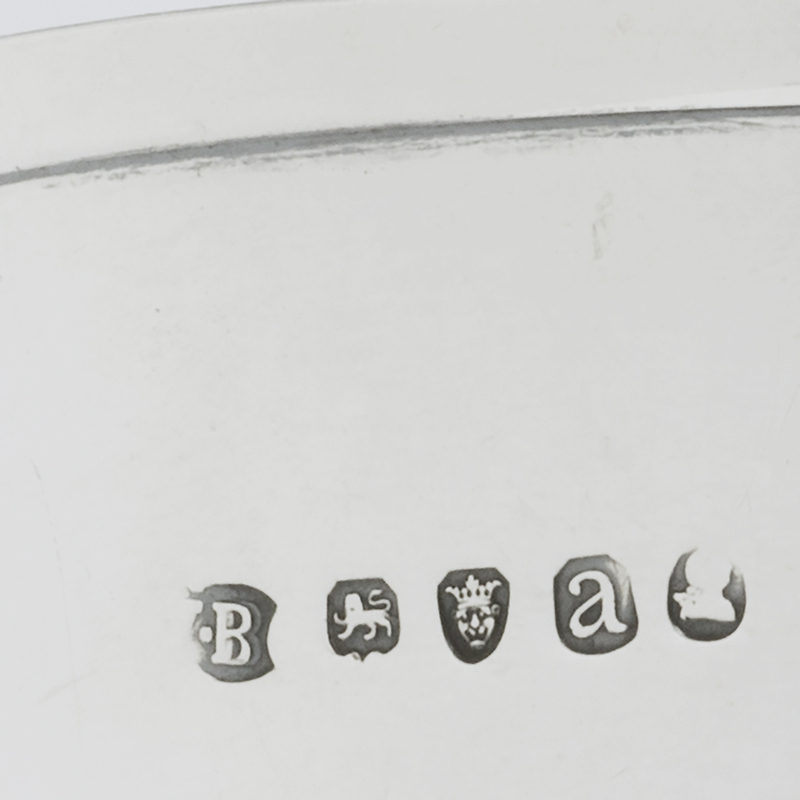 Send Enquiry for A George III silver White Wine Label. 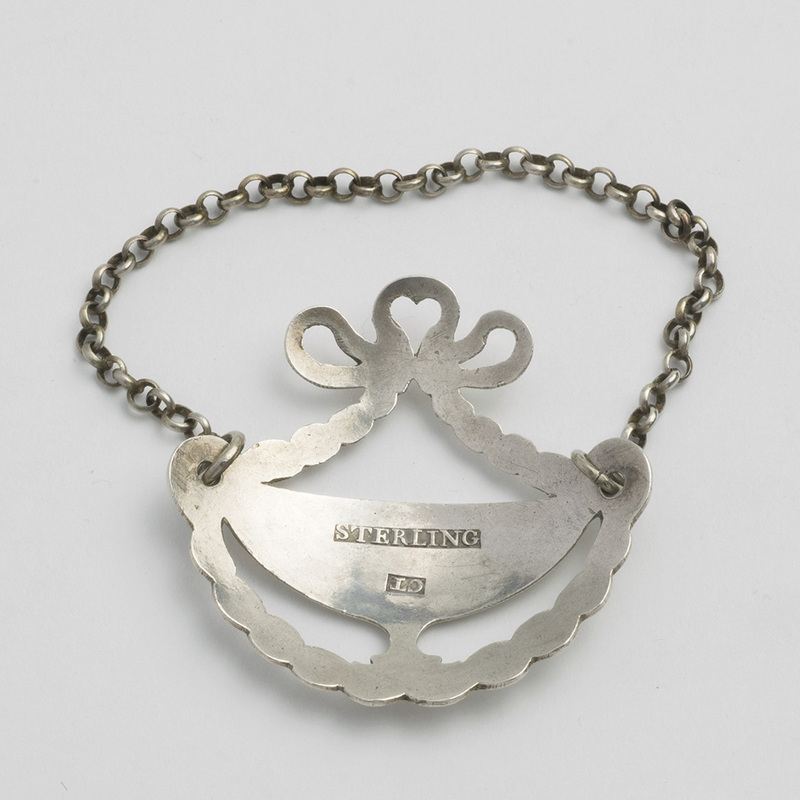 next post: A French silver Child’s Mug.